Most of the time when you are trying to Connect USB keyboard, camera, mouse or drive on your PC, you will get this error “USB device Not Recognized” or any other error. 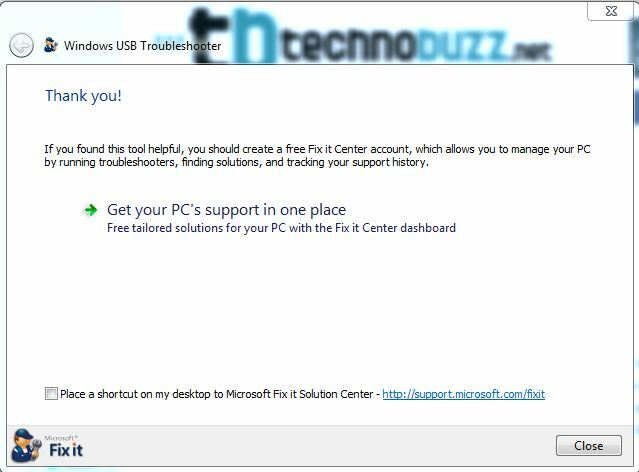 Now you can solve this problem with few clicks, USB Fix It is free small app from Microsoft which allows you to resolve all these errors on your windows PC. The app diagnoses and repairs all common USB device related problems on your windows PC within a few minutes. The app will allows you solve these issues on your Windows machine USB Device Not Recognized Error, Problem Ejecting USB Mass Storage Device and USB printer device is not printing. USB Fix it is the best option to solve these errors in a few clicks. Just install the app on your windows and follow the instruction to get rid of these USB errors. 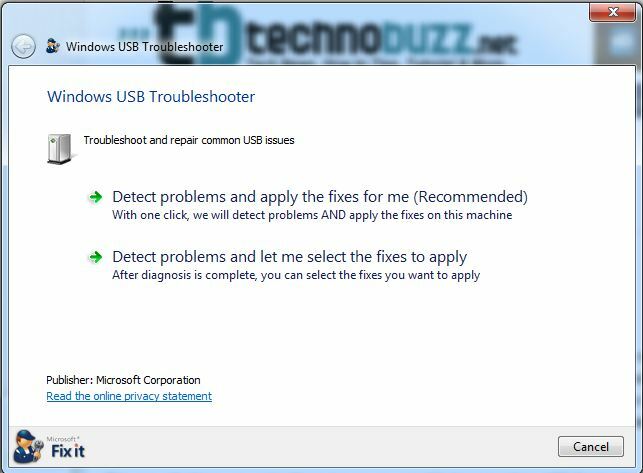 Install the app on your windows PC and run it, now it provides you two USB troubleshooting modes. First Detect Problems and apply the fixes for me, Second is Detect problems and let me select the fixes to apply. In the first option the app will detect the problem and fix it automatically, on the second option it allows you to choose which fixes to apply. Select the option that you want and run the app, within a few minutes it will detect the problem and solve them too. At the end you can also select Get you PC’s support in one place to access other solutions offered by Microsoft. We tested this app in Windows 7 64 bit edition, It works on both 32-bit and 64-bit versions of Windows XP, Windows Vista, Windows 7 and Windows 8. Where can I get this utility / app?